Week 7 of BBL 08 saw three of the top-four set in stone, while the Stars, Thunder and Heat clamber for the last finals berth. The Scorchers’ Sunday night win over the Stars has certainly kept things interesting in BBL 08. 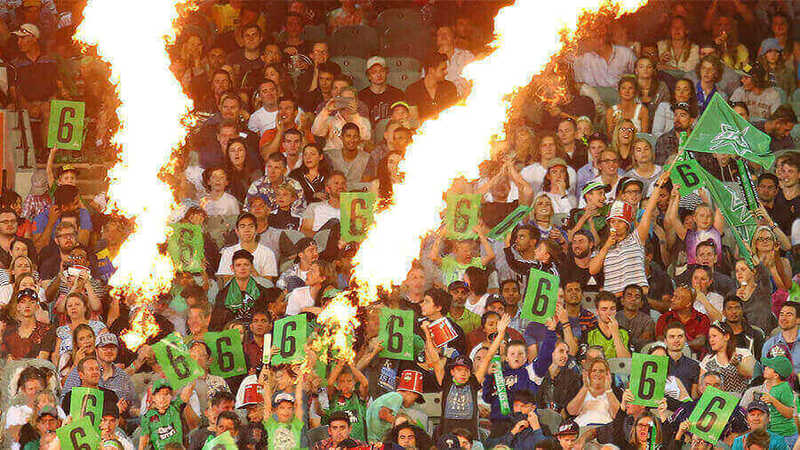 Had the Green Machine won, they would have sealed a record-equalling seventh finals berth. As it stands, however, the Thunder (5th) and Heat (6th) remain in it. But only just. Glenn Maxwell’s Stars (played 12) need to win just one of their final two games to seal the top-four spot. The Thunder and Heat (both played 13) MUST win their final clash to remain in with a chance. First, the Stars actually face the Heat on Friday night which looms as a hugely entertaining clash. Then they face the in-form Sixers, who have undoubtedly been the competition’s best side in the last fortnight. The Thunder meanwhile face the table-topping Hurricanes. Irrespective of the potential scenarios, Palmerbet traders still have the Stars in the box seat. They are currently $2.37 to reach the final, with the Heat ($12) and Thunder ($21) well behind given their precarious position. The aforementioned Sydney Sixers notched up another two wins this week, making it four wins on the bounce. These four wins have taken them from $10 title chances with Palmerbet to $4 (equal second with the Renegades). Everything just seems to be clicking for the Sixers. Daniel Hughes is in great touch at the top of the order, alongside Englishman James Vince. The top-order is then brilliantly supported by the likes of Sean Abbott, Steven O’Keefe and Tom Curran with the ball. The Scorchers and Strikers started the season as equal $5 title favourites with Palmerbet. And for good reason. The Strikers had dominated BBL 07, while the Scorchers are by far the most successful side in the competition’s history. But it’s all gone belly up this BBL season, and it’s hard to pin down why. Having retained most of their players, both sides have failed to gather any sort of momentum throughout the season. Coincidently, the pair play each other in their respective final games for the season on Saturday. The Strikers start as $1.74 favourites at home (Scorchers $2.10).